Paul Jordan :: FOUR OUT OF SEVEN! 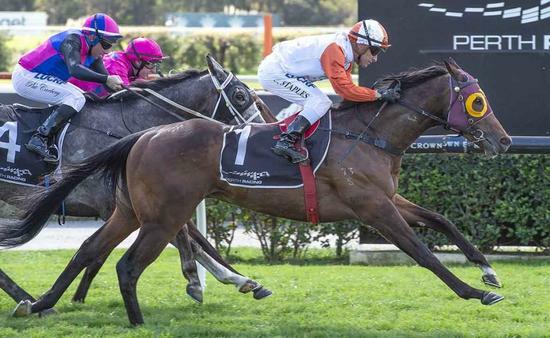 Fire and Rain won with something in reserve over 1200m on Saturday, carrying the top weight of 59.5 Kg, giving at least 3.5 Kg to the rest of the field. Again he showed what a talented and versatile horse he is. On Saturday from barrier 2 we decided to take a sit and he sat behind the odds on favourite Flirtini, easing out on the turn to pick up the two leading horses and beat them by three-quarters of a length. It was another great ride by Craig Staples and sincere thanks to him and my dedicated staff.